We believe the strategic development, engagement and retention of people taps into limitless potential for any organization. 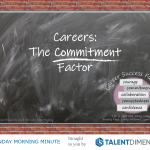 Different roles … different retention strategies. 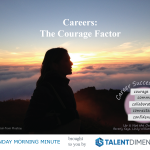 Career Systems International is now part of Talent Dimensions. PRISM International is now part of Talent Dimensions. We work with Fortune 500 companies to drive exceptional impact with the strategic retention of their critical roles. From award-winning solutions to 40 years of experience, we aim to create cultures where engagement, development and leadership flourish. We exceed the expectations of our clients and help them drive exponential performance through their people. The best way to get to know an organization is to understand what they believe. ‘What comes next’ is a commitment to providing the same award-winning programs clients have come to know so well through Career Systems as well as the broadening of our horizons to focus more specifically on the strategies for retaining employees and minimizing turnover to propel organizations to new levels of performance through their people.